Win Tickets To Kenny Chesney Friday! 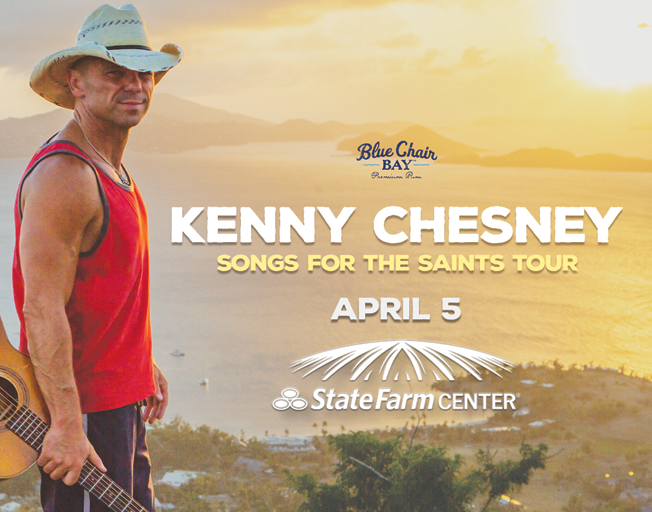 Win tickets to Kenny Chesney at the State Farm Center April 5th before you can buy ’em! Join us at Altman’s Billiards and Barstools on Ireland Grove Rd in Bloomington from 5 pm – 7 pm for another B104 Ticket Stop. Bring a new, unwrapped toy for McLean County Toys for Tots and register to win a pair of tickets to Kenny Chesney at the State Farm Center before they go on sale. Hunter from Faith and Hunter in the Morning will draw a winner at 6 pm AND 7 pm! That’s right, TWO chances to win! Tickets for the concert go on sale December 7th. Additional show details can be found HERE. Kenny Chesney is coming and we want YOU to go! Join us at Altman’s Billiards and Barstools in Bloomington from 5 pm – 7pm for your chance to win them before you can buy ’em! With Bloomington-Normal’s #1 Country, B104.